OSHA has numerous laws mandating action by employers including establishing programs, training employees and inspecting the workplace. SBN’s has developed mobile OSHA compliance software to help organizations comply with regulatory requirements. Our mobile OSHA compliance software also includes our OSHA recordkeeping software which helps the organization store those records so they can be easily produced during a surprise inspection. Our OSHA apps can be used to document actions an organization has taken in the field to comply with regulatory requirements. The OSHA app can also be used to audit safety programs to demonstrate that they also meet regulatory requirements. SBN’s solution is designed to be easy to use, intuitive and robust. 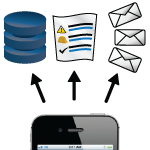 The mobile OSHA compliance software can be used to create audit or inspection checklists. 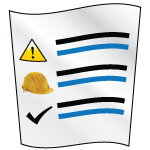 The OSHA app can be used in the field to complete the audit or inspection checklist. It allows the user to capture photos and take field notes. It can even be configured to document field procedures such as lockout tagout procedures or permit-required confined space entry checklists. It can also capture the inspector’s signature to certify the inspections were completed. The OSHA recordkeeping software stores inspection records and allows the user to pull individual records up at any time to demonstrate to an OSHA inspector that a particular inspection was completed as required. SBN offers an end-to-end process solution for OSHA compliance.